There is nothing saying that Halloween Crafts need to be scary. 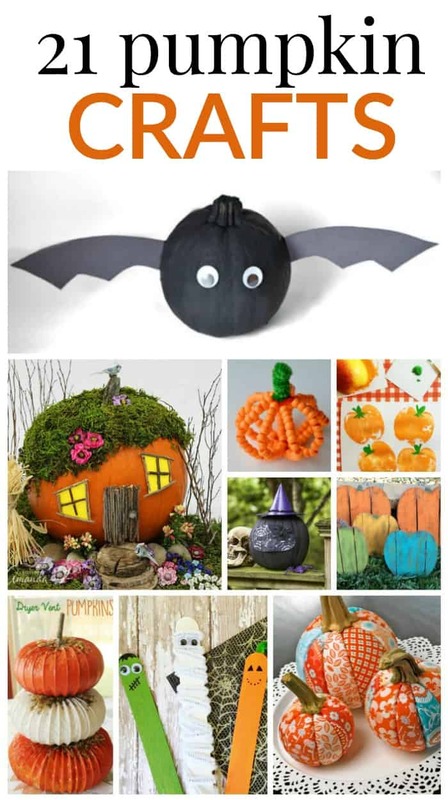 You can make many fun, and colorful pumpkin crafts that can bring non-scary fall and Halloween decor into your home. 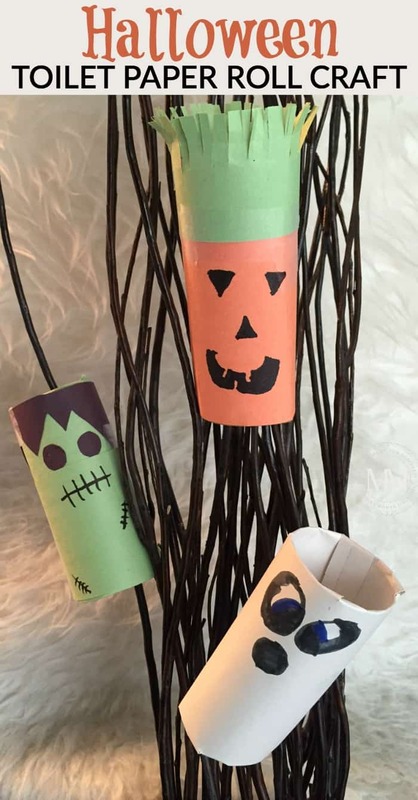 #1) TOILET PAPER ROLL JACK o’LANTERN – make this super reasy pumpkin and all his friends! 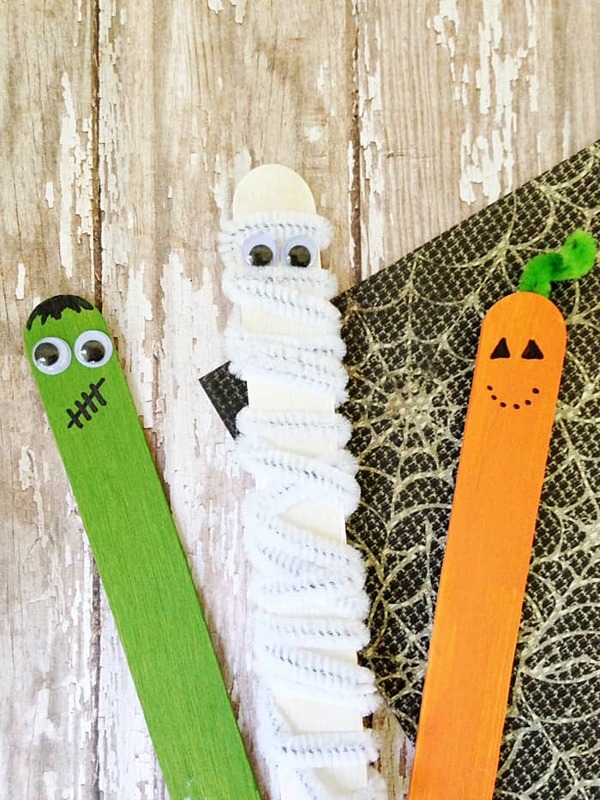 #2) HALLOWEEN STICK PUPPETS – With only a few supplies needed, you and your child can create these fun Halloween Stick Puppets for hours of fun playtime. 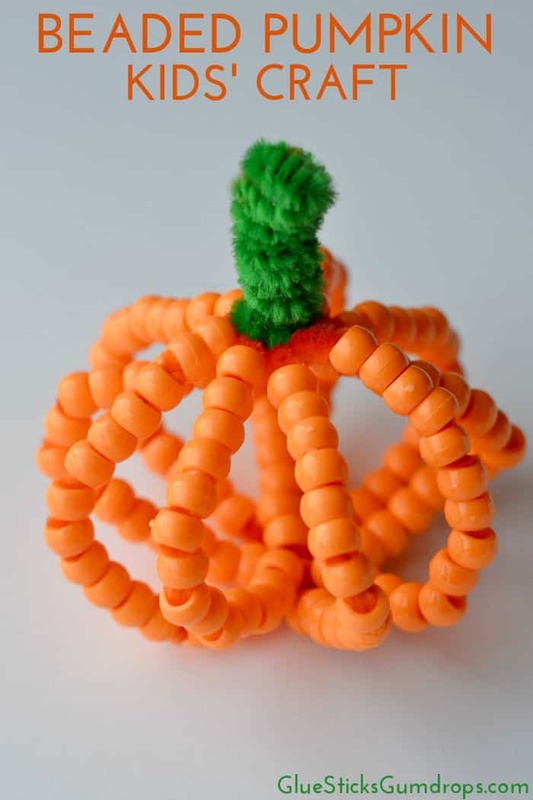 #3) BEADED PUMPKIN CRAFT – This beaded pumpkin craft is an easy fall craft that will look cute next to some other autumn decor. 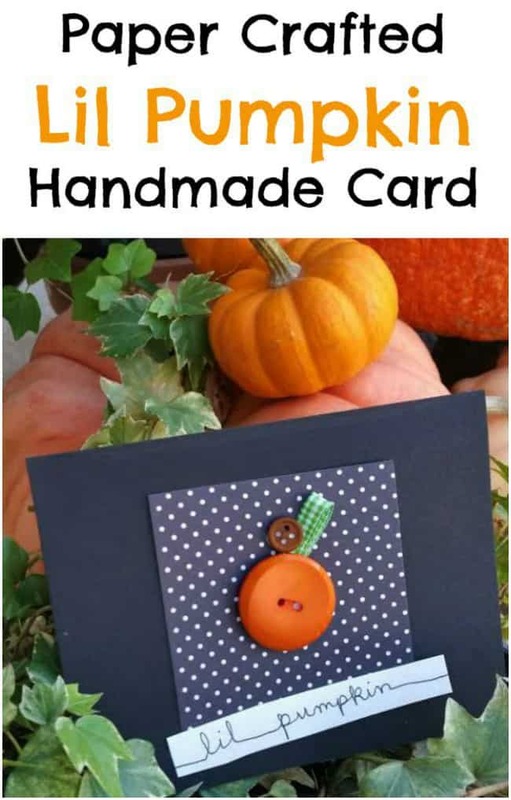 #4) LIL PUMPKIN BUTTON CARD – This handmade card is easy to make and will be loved by whomever you give it to. 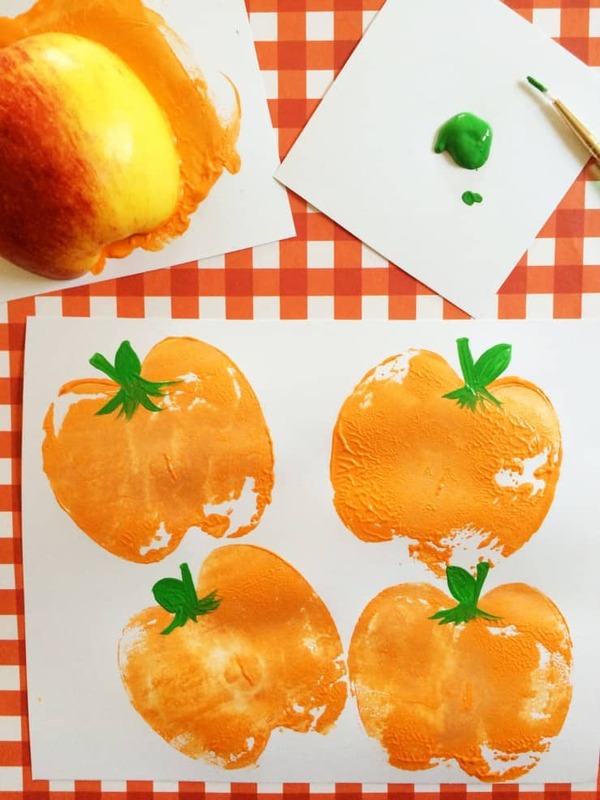 #5) PUMPKIN APPLE STAMPS – You kids will love these pumpkin apple stamps! 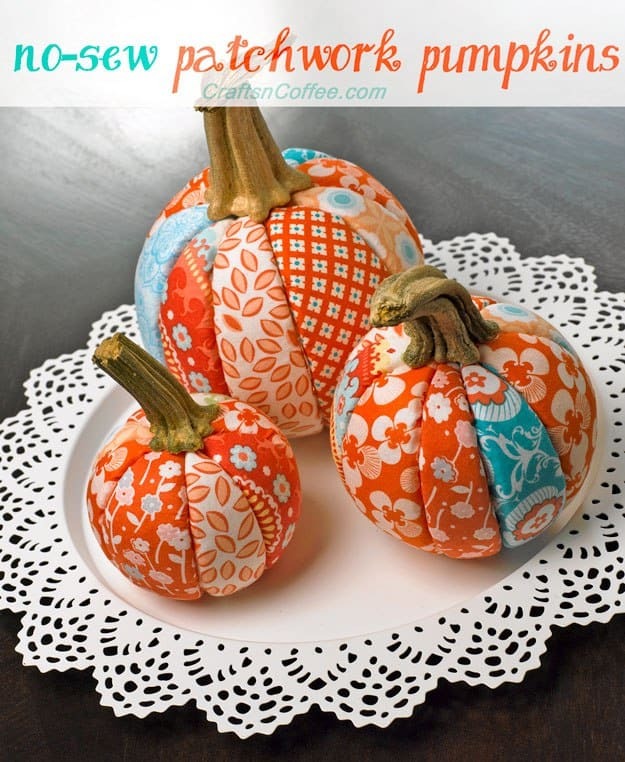 #6) NO-SEW PATCHWORK PUMPKINS – are adorable and make great autumn decor. 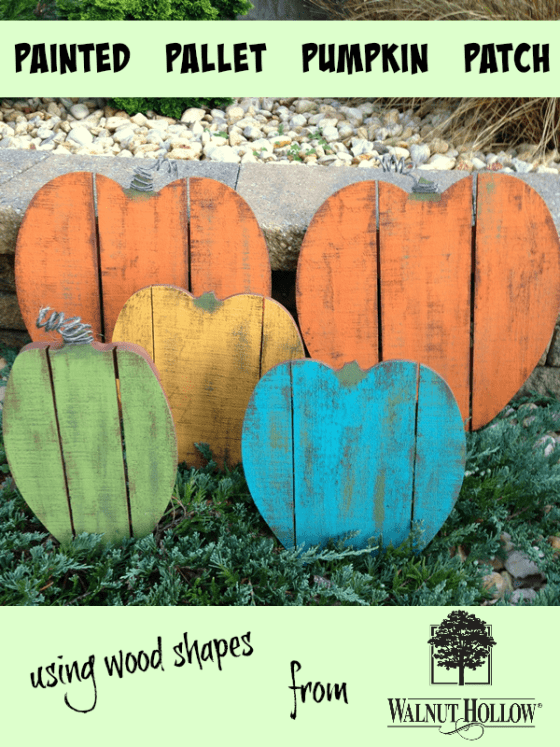 #7) PAINTED PALLET WOOD PUMPKIN PATCH – these would look great in your front yard or on your porch. 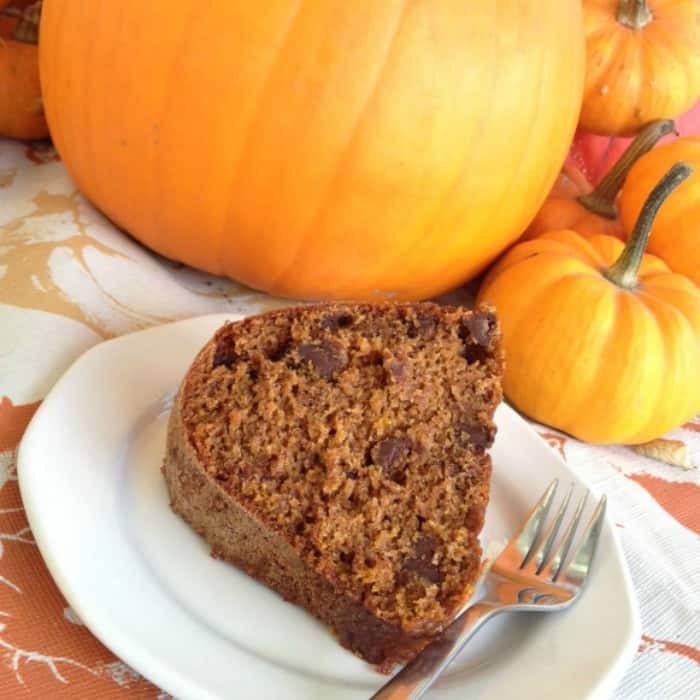 #8) PLASTIC SPOON PUMPKIN CRAFT – this makes a great table centerpiece and won’t go bad! 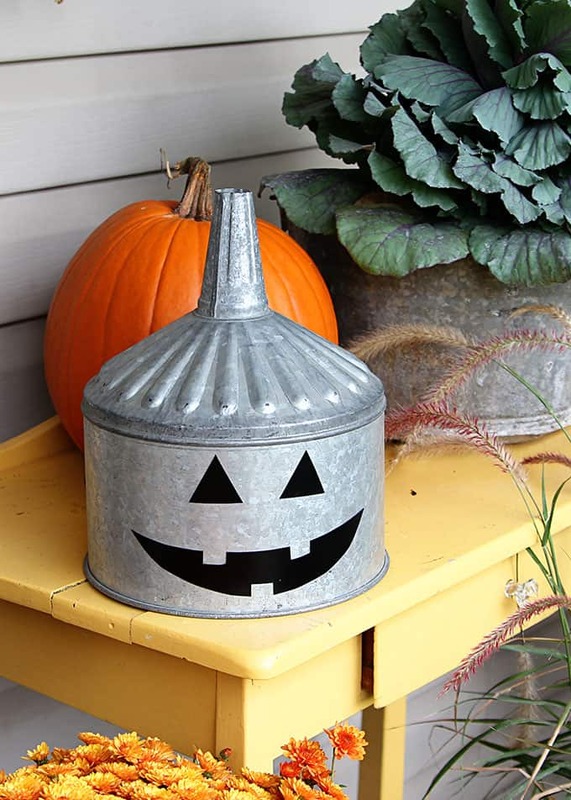 #9) REPURPOSED JACK O’LANTERN – I love this large funnel Jack o’Lantern! 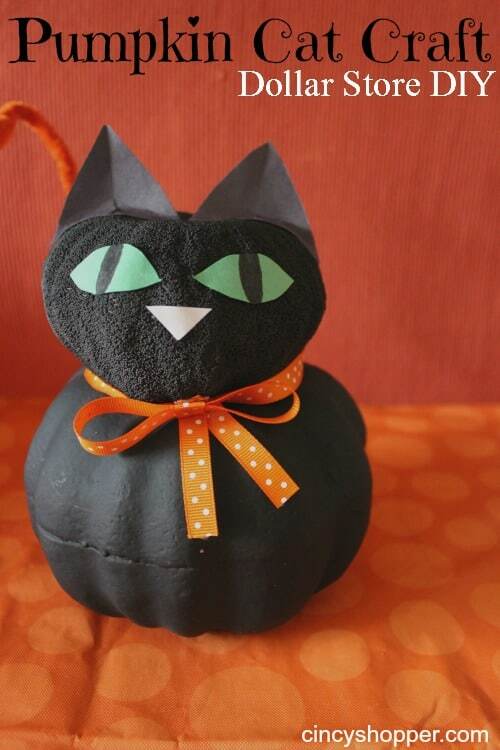 #10) DIY DOLLAR STORE PUMPKIN CAT – this fall craft idea is inexpensive. 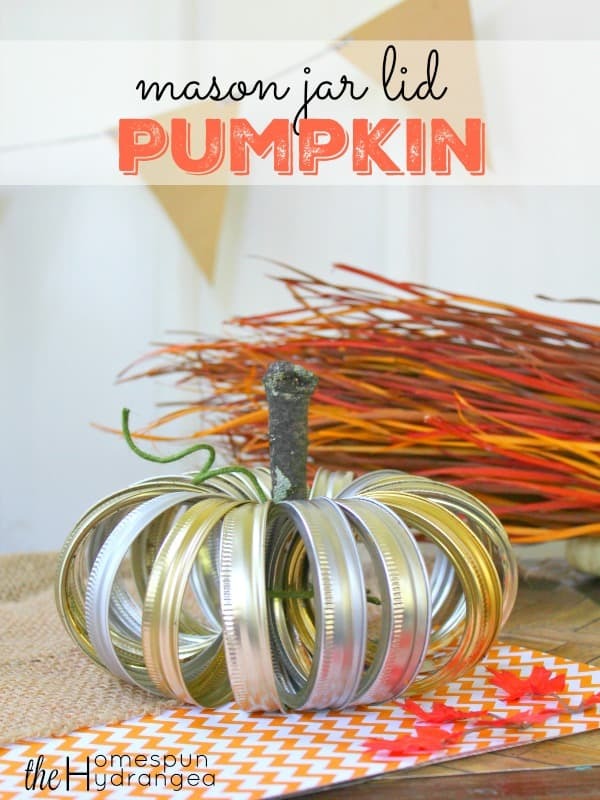 #11) PUMPKIN MASON JAR LID – with a few lids and some wire you can make one too! 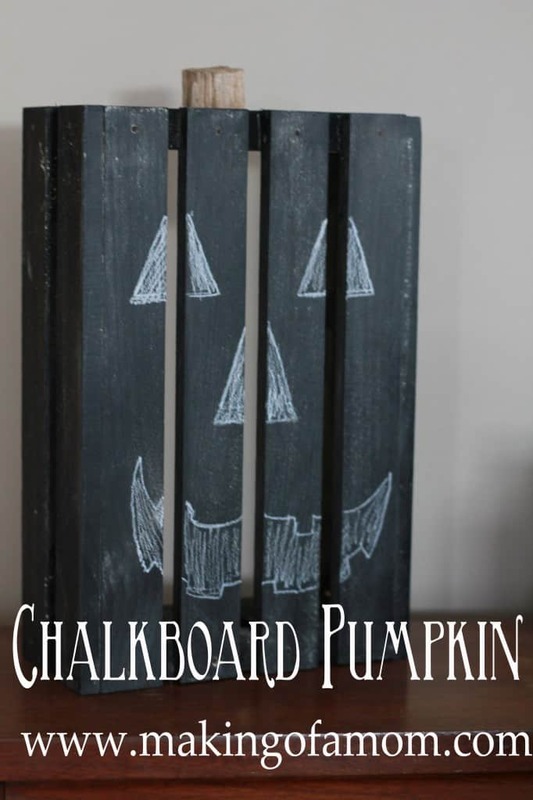 #12) CHALKBOARD PUMPKIN CRAFT – 4 items and you’re good to go. 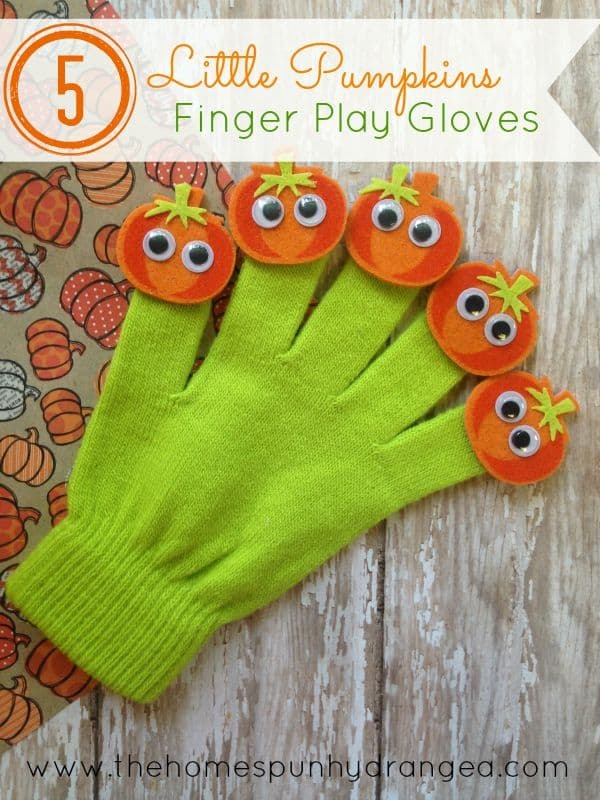 #13) 5 LITTLE PUMPKINS – this fun craft for kids is budget friendly AND easy. 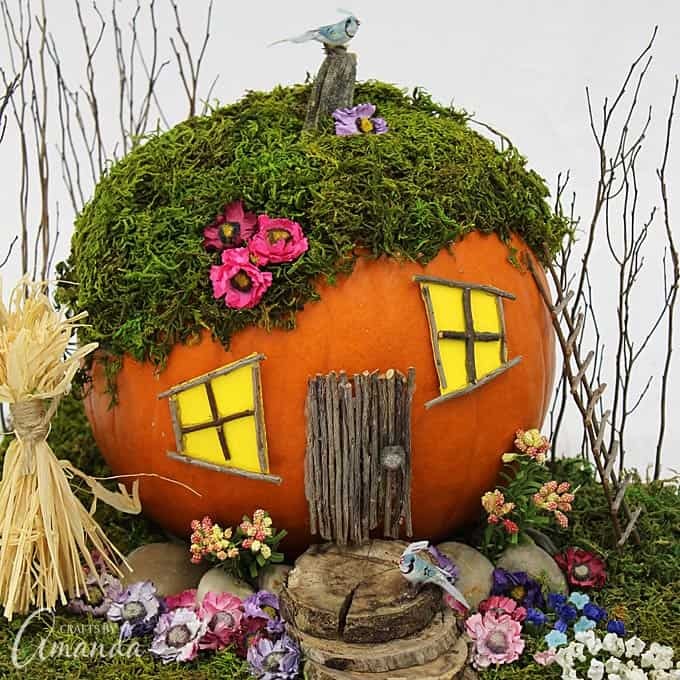 #14) PUMPKIN FAIRY HOUSE – perfect for the fall weather! 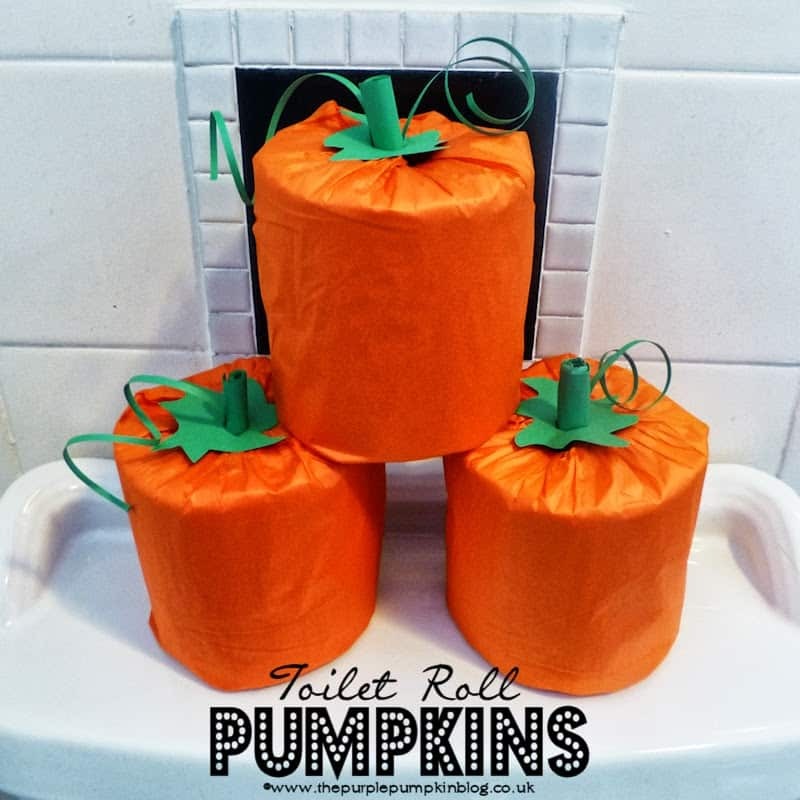 #15) TOILET PAPER PUMPKINS – spruce up your bathroom with this fun idea. #16) PUMPKIN BUTTON SHADOW BOX – buttons are a great way to decorate. 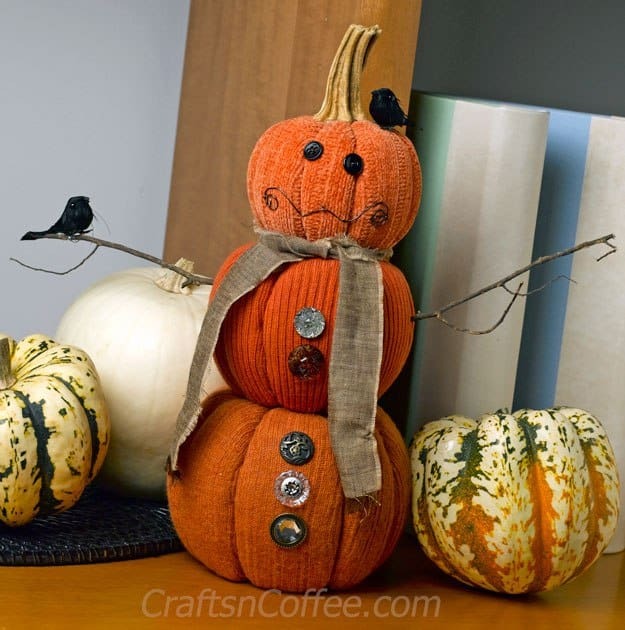 #17) SWEATER PUMPKIN SNOWMAN – here’s a snowman that never melts! 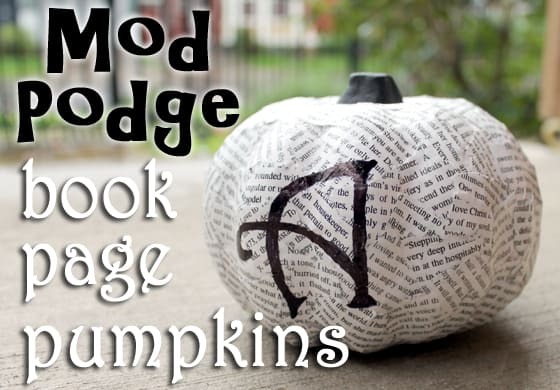 #18) MOD PODGE BOOK PAGE PUMPKINS – use foam pumpkins make these, and spell out greetings. 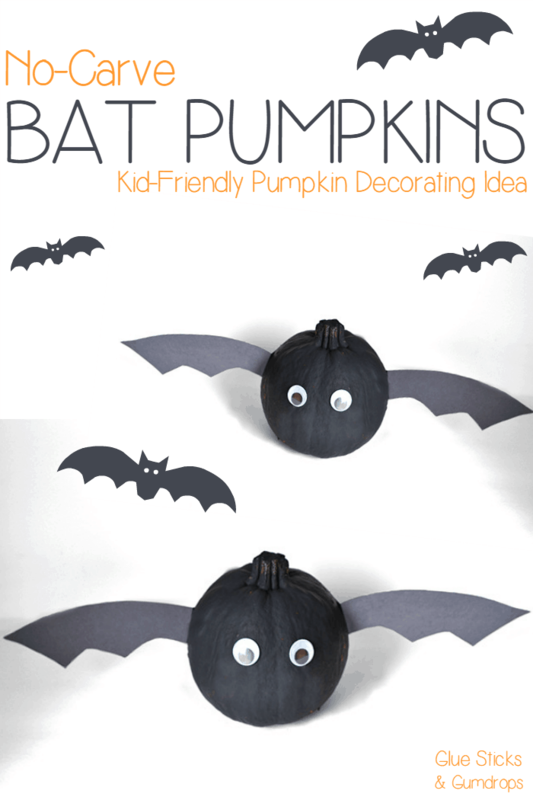 #19) BAT PUMPKINS – a no carve pumpkin decorating idea. 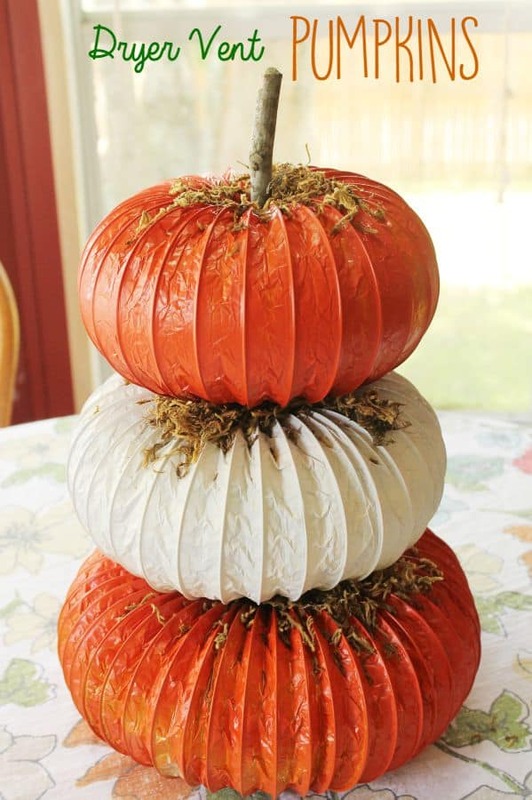 #20) PUMPKIN DRYER VENT CRAFT – this cute craft takes about 30 mintues to make and only $10! 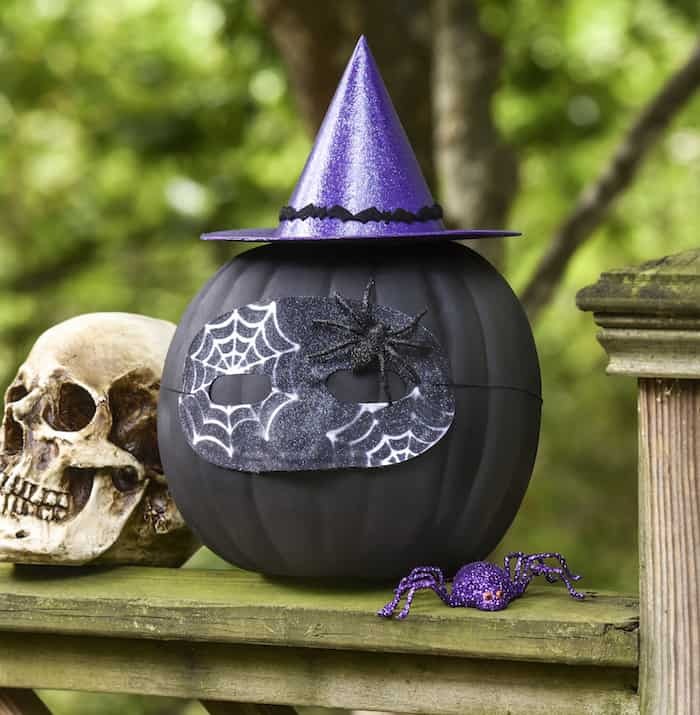 #21) SPARKLY WITCH PUMPKIN – this pumpkin craft is “less-orange” than others. Wow, loving all the inspiration! 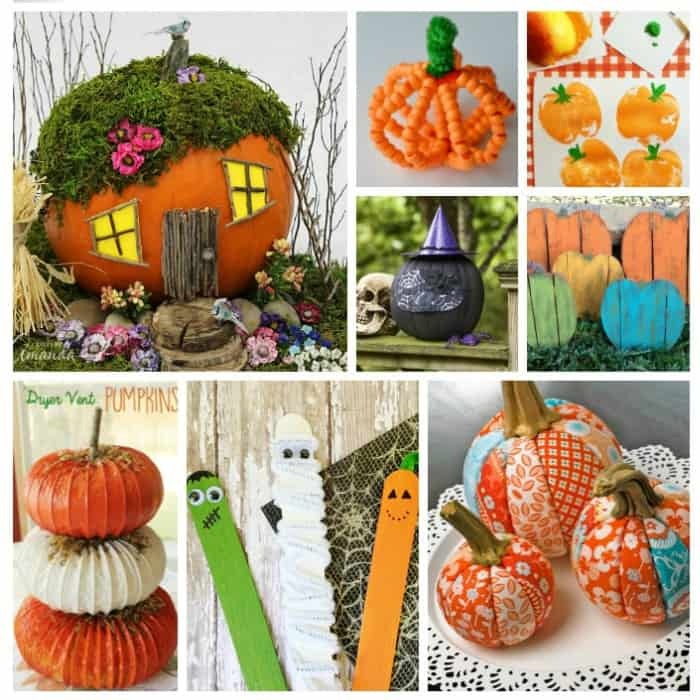 The pallet pumpkins and the cute little pumpkin house are awesome! Oh I can’t wait to start making these crafts with my little one! I love the pumpkin fairy house!